The silent service of more than 2.9 million military family members around the world is truly the force behind our force. While we honor our military families every day of the year, Military Family Month is when our President asks all Americans to pay tribute to the extraordinary ways our nation’s families continue to support our military. Military kids deal with stressors that other children don’t understand—like a deployed, or injured parent. Military spouses put their career ambitions on hold support their service member. Military families, we know you serve 365 days a year, but November is all about you. 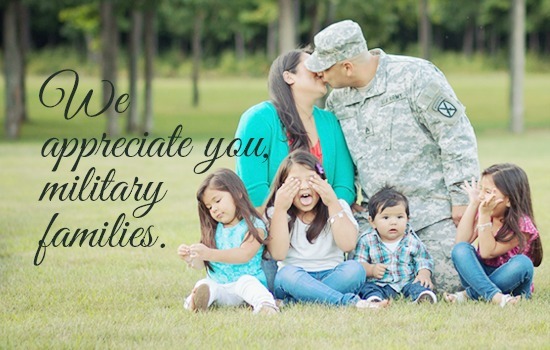 Whether you’re part of a military family or someone who cares, together we’re stronger®.